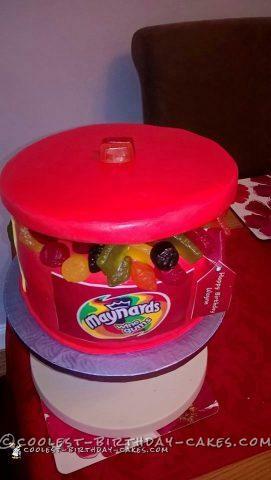 This is a tin of wine gums I made for a teenage so simple to do but it had the wow factor. I made 8in mud cake hollowed it out slightly covered in red fondant filled with wine gumsi used 3 small dowels to support the lid. Everyone loved it and was talking about it for days!